A very unique and unforgettable journey. It did exactly what I hoped it would > immerse myself into another culture to better my understanding of the world. It was also great to be present for once. It really opend my horizon and gave me a new perspective of my life - all I could ask for. It was an incredible experience living with the Nomads and seeing how they live so simply and don't have much, yet are so happy and passionate about this way of life. The Nomadic Living Mongolia tour was by far the best experience of my life. The Nomads showed that they have little materialistic objects but are rich with land animals and family and showed their content and happiness and willingness to welcome strangers to their home. Picture would never do this trip justice but experiencing it with G adventures has created memories to last a lifetime! Only ground transport Public bus, oxcart, horse. 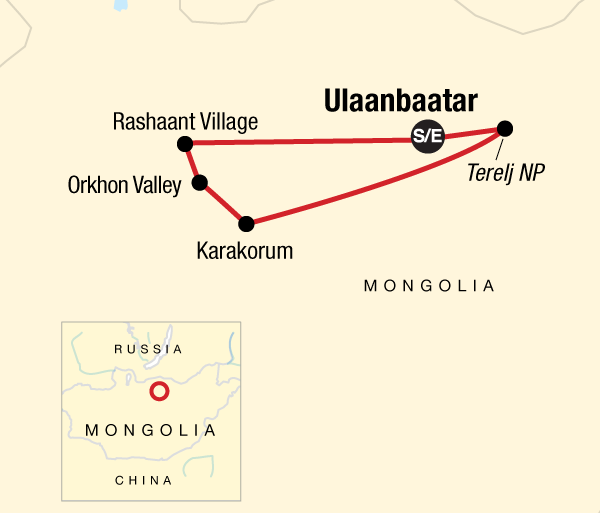 We will use public buses to travel between Ulaanbaatar and Terelj National Park. While in the park, we will travel by horse and oxcart. Travellers should be comfortable on and around horses. In Ulaanbaatar accommodation will be in a standard hotel with twin share rooms. In rural locations you will overnight in a family’s extra ger tent (max 5 persons in 1 ger) with basic furnishings. 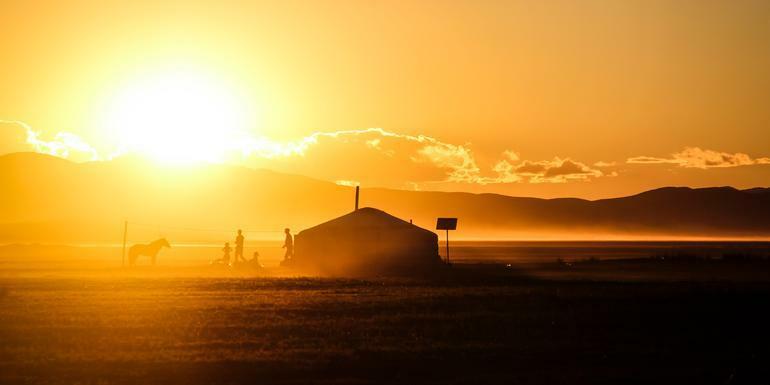 Typically, families will have between 2 to 3 beds and the rest will be provided mattresses – all necessary camping equipment is included and will be provided to you by your CEO upon arrival in Ulaanbaatar. Shower facilities are not available at the camps, except at the Ger Camp on Night 5. Most nomadic families do not have a formal toilet in their camps – expect a basic, screened-in outdoor toilet. Guides Chief Experience Officer (CEO) throughout, local nomadic hosts.